"Where culinary masters are created"
Hours: Monday to Friday - 11:00 a.m. to 12:00 p.m. Please note - Doors open at 11 a.m. The food preparations and table service in Room Two Fifty One are performed by our students. We appreciate your encouragement of our students and your support of our program. 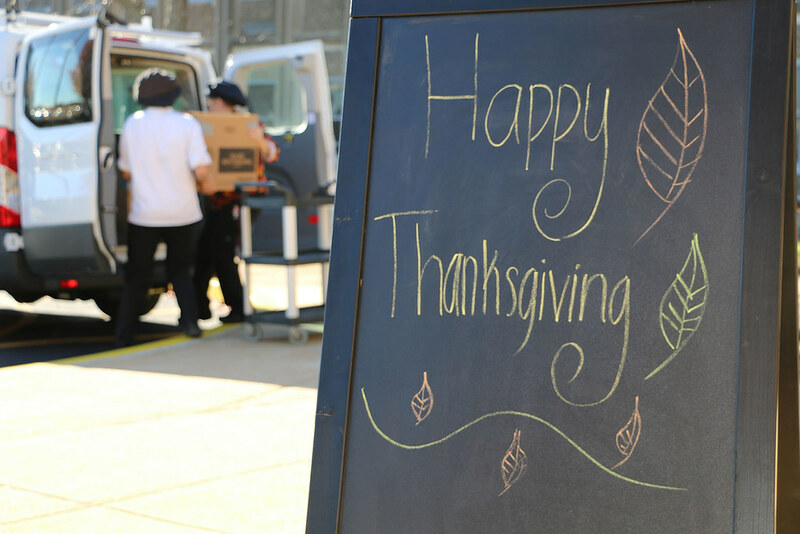 View photos from our recent Thanksgiving donation meal below. We ask that in lieu of tipping, please make a small donation to the Thomas Rodrigues Memorial Fund (the canister is located at the register). Outdoor patio dining is now open!